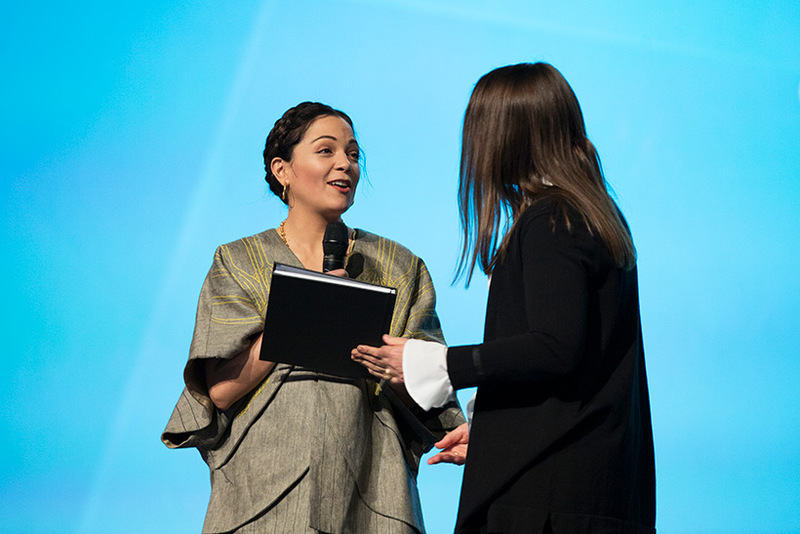 Saturday morning Latin Grammy award winning singer and songwriter, Natalia LaFourcade sat down with RootsTech host and emcee, Jason Hewlett, at the general session to talk about her numerous musical accomplishments, her family history, and to perform a special selection of her songs, which included her recent hit song, “Remember Me” from Disney/Pixar’s animated movie, Coco. The song was nominated for “best original song” at the 2018 Oscars. 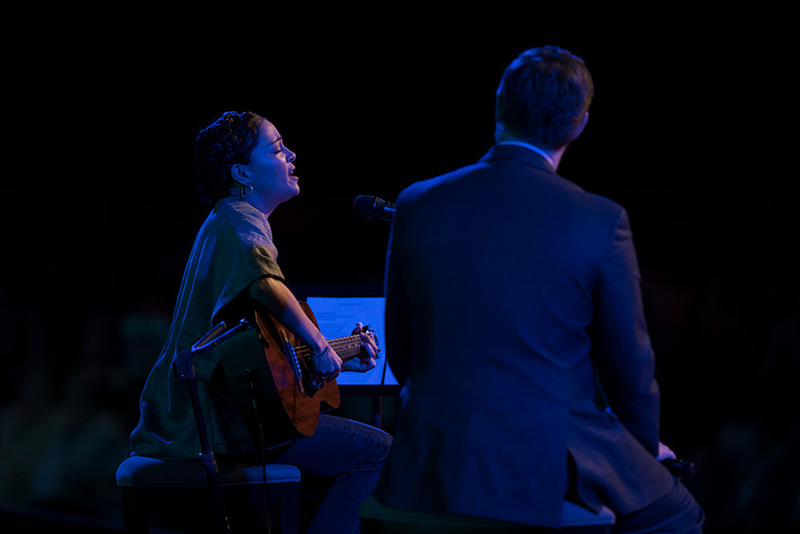 When asked about the guitar she had brought to play, LaFourcade touched the instrument with obvious affection and shared that it was a 1957 vintage instrument that she had bought in San Francisco and named “Francisca.” She then enchanted the audience by playing it and singing the first single from her most recent album, Musas. The sounds brought many to tears, including Hewlett. LaFourcade grew up in a musical family. Both of her parents taught music lessons and as a child she enjoyed being surrounded by classical sounds, though she felt rebellious for a time and focused her attention on pop music. Now she feels she has returned to her roots and enjoys sharing the traditional sounds of Mexico with people from all over the world. She and her family always wondered about the last name, LaFourcade, and believed it to have some French origin. 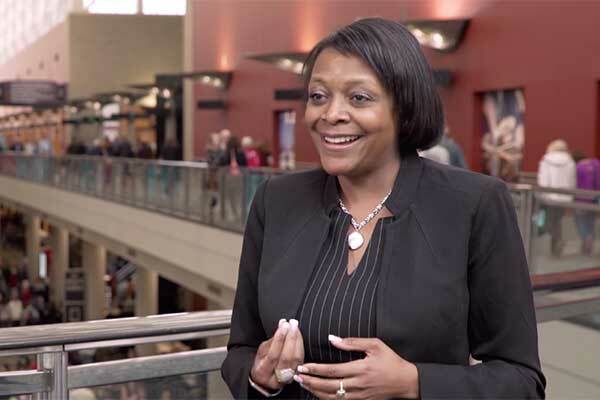 This assumption was confirmed when FamilySearch Product Manager, Tamra Stansfield, joined her on stage and presented her with her family history. 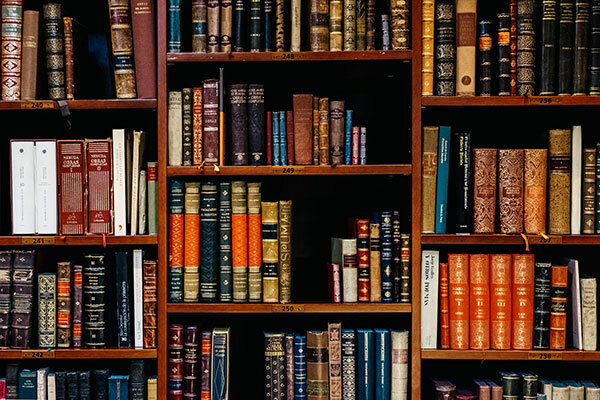 LaFourcade was visibly touched by the information she received and expressed gratitude for what she had just learned about her French, Chilean, and Mexican ancestry.